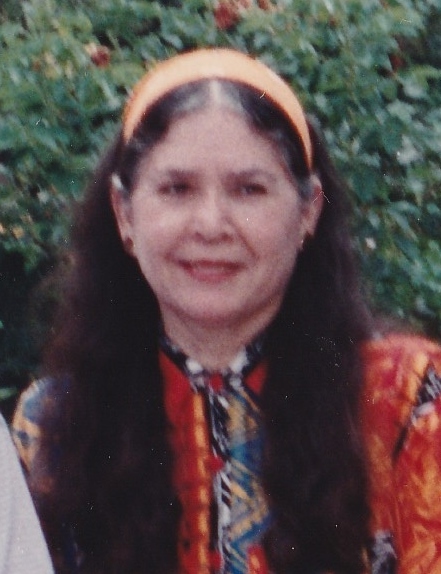 Virginia Rios Drohman of Ruskin, NE the daughter of Antonio and Delores (Lopez) Rios was born May 11, 1941 in Gleeson, AZ. She departed this life Friday, November 2, 2018 at Blue Valley Lutheran Care Home in Hebron. Virginia grew up in the Gleeson area. She attended school in Tombstone, AZ. After school she worked as a Med Aid at the Cochise County Nursing Home in Wilcox, AZ. She married Duane (Tub) Drohman in 1979. She moved to Ruskin in 1980 where she worked home health for Good Samaritan out of Hastings, NE. She then worked for the Good Samaritan Nursing Home in Superior, NE in housekeeping. Virginia liked her flower gardens and watching the birds especially cardinals. She spent many hours taking car of her cats and the neighborhood cats. She is preceded in death by her parents, and one grandson Devin Michael Rios. She is survived by her son Rene Rios and wife Christine of Ruskin, NE, grandson Brendan Scott Rios of Ruskin, NE. Graveside services will be held Thursday, November 15, 2018 at 2PM Spring Creek Cemetery in rural Ruskin, NE. Cremation, no visitation. Officiant Father Rudy Oborny. Condolences may be left at www.krollfh.com. Kroll Funeral Home of Hebron, NE is in charge of arrangements.